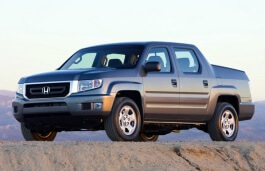 Correct Wheel Sizes, PCD, Offset, Rims and Tire specs for Honda Ridgeline series. if my winter tire is 245 65 r17 the rim is what recommended rim width 7 7.5 8 or 8.5 why the options? is there that much play between rim width and tire size, how does the rim width change the drive what is ideal 7.5 inches? Hello, the factory rim width for the 245/65R17 tire is 7.5 inches - it is the best width, offset also important. Oem ET is 45 mm for 7.5x17 rim. Using the tire calculator you can play with rim and tire specs. Hi,ilie,the stock rims size is 17'',I suggest that you use 17'' instead,if you truelly want 16'',It is also fitable. Hi,ilie,Yes.And make sure the tires are compatible. 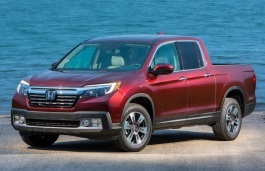 will the wheels for a 2017 ridgeline fit other honda models? 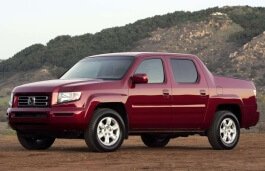 Hi,Roy Lange,For 2015 honda ridgeline oem wheel,It can fit for 2006 ridgeline.For 2017,I think may be it's rims size can also fit for.I suggest that you can go to wheel shop to confirm it. Hi,Alan Engel,the offset for 2008 is 45mm,and 55mm for 2017.So 55mm offset is not compatible with 45mm wheels.